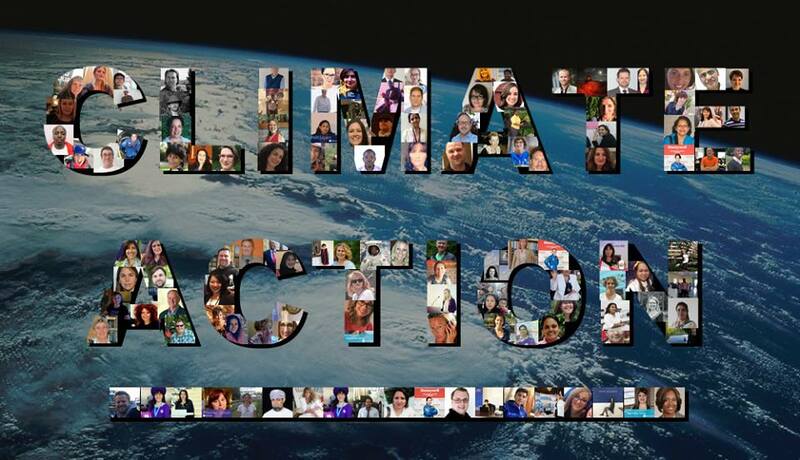 What is the Climate Action Project? The Climate Action Project is a global Student-centered Project involving 250 schools over 69 countries made by Koen Timmers from Belgium. Schools collaborated on climate change topics over this course in October 2017. Students from across six different continents conducted research, brainstormed and discussed ideas, presented and shared their findings about these topics via videos and online presentations. During the final week of the project, all participants have had an opportunity to Skype with each other to establish personal and meaningful connections with their global peers. Together, we hope to achieve a greater understanding in our students of the importance of taking action against climate change. The project is student-centered and so the students have to do the research, brainstorming and discussion. They share their findings via weekly videos or presentations. The students are told that they are journalists and their classrooms become newsrooms. All participating students will learn in very different ways (collaborative, by expressing and creating, by doing research, by discussing, by connecting to experts on social media, etc) and will have very different outcomes (composing songs, dancing, creating, using Lego, Minecraft, stop motion videos, interviewing, etc). This project covers several subjects: Science, Math, History, Biology, Literature, etc. Students will learn to use certain tools without being instructed how to use them. Teachers will discover new approaches and tools. They will make global connection and... learning will be fun! Students will use tools like Office Mix and phones to create videos and will use several tools to create short articles (Eg: Sway, OneNote, PowerPoint, Word, etc). During one specific week they will use one specific new tool (Minecraft, Lifeliqe, etc) so they will discover a new tool. In the final week, they will use Skype in the classroom to connect and share what they have learned. The project was covered by media in many countries and supported by Dalai Lama, Greenpeace, Jane Goodall, Unesco, Microsoft, #TeachSDGs, etc. 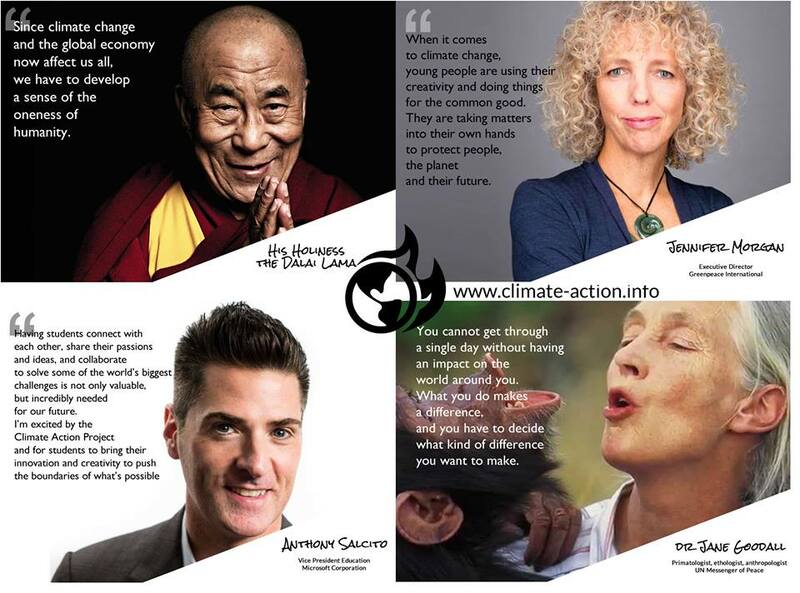 Céline Cousteau and other public figures offered Skype lessons. Check the complete list of people who support the project HERE. 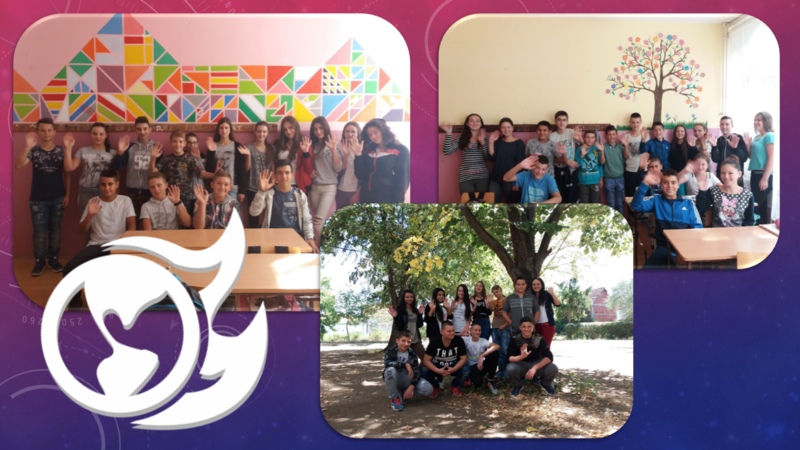 School "Toplički heroji" from Žitorađa (Pejkovac), was one of three schools from Serbia, participating in the Climate Action Project. We are happy to be the part of this global project!!! So proud of my students! They are in this video of the project at 6:00. Students researched about the Climate changes, global warming, their causes and the consequences. We have found fantastic video about link between Energy and Climate changes and it helped our students to get inspired and search more about CO2, energy and is there some link between the Climate and Math. They were taken the roles of journalists and scientists and with their findings, made an awesome Sway presentations about this topics. Students researched about Climate changes in our country and took pictures in their environment. This summer in Serbia was very hot and dry, so the main thing in their research was drought in Serbia, and serious floods from few years ago. We have found interesting resources about energy and possible solutions of the Global warming problem. Specially, we liked the part about Wind energy, so we decided to explore more about this solution to climate changes. We don't have any real Wind turbines in our region, so we went to a field trip using Skype in the classroom and visited Puget Sound Energy's Wild Horse Wind & Solar Facility in the USA. After this trip, we used Lifeliqe lessons and 3D models of Wind turbines to learn about their parts. At the final week of the project, we used Skype in the classroom to connect with students and teachers Rania Ezzat Al-sayed from Egypt and Mio Horio from Japan. We exchanged what we've learned in this project and wanted to know something more about the climate changes in their countries. It was so fun! We also participated in the Skype lesson with Céline Cousteau about the Amazon tribes and effects of the climate changes on their lives. For the end of the project, we wanted to meet people who are working at Microsoft and developing our favorite Office application - Sway! We talked about Climate action project, what it means to our future as human beings and he said that presentations of my students, made with Sway are fantastic and so inspiring. We owe a big thanks for this awesome expirience to Koen Timmers and all outstanding educators across the World, working on this project!!! — Ms. Dorland Gr3 ?? (@MsD_QOH) 18. октобар 2017. — Anica Tričković (@AnicaTrickovic) 18. октобар 2017. — Koen Timmers (@zelfstudie) 18. октобар 2017. In 2006, Céline Cousteau was working on a documentary in the Amazon, returning to places her grandfather Jacques Cousteau had been to in the early 1980s. While there, she traveled into the Vale do Javari indigenous reserve in Brazil to film a meeting of the tribes. It was then that she first learned of the dire health crisis they are facing. Four years later, an indigenous leader from the Vale do Javari wrote asking her to tell their story to the world in the hopes of raising awareness as their situation had not changed. It is undeniable that in the Amazon, humans and nature are interconnected in such an intimate way that when there is environmental destruction, humans suffer immediately. With the largest number of uncontacted tribes on the planet and an irreplaceable ecosystem as suggested by UNESCO, it is time for the world to see this unique place up close. It is time for the Vale do Javari to be heard! 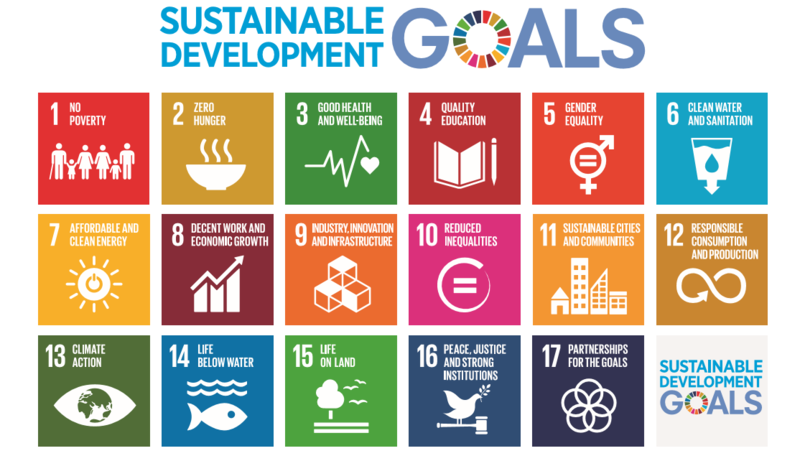 Global Goals Week takes place each September, marking the anniversary of the SDGs being agreed at the United Nations. Events take place across New York bringing together individuals, governments, businesses, international organisations, NGOs and other partners to showcase ideas, solutions and partnerships around the Goals. 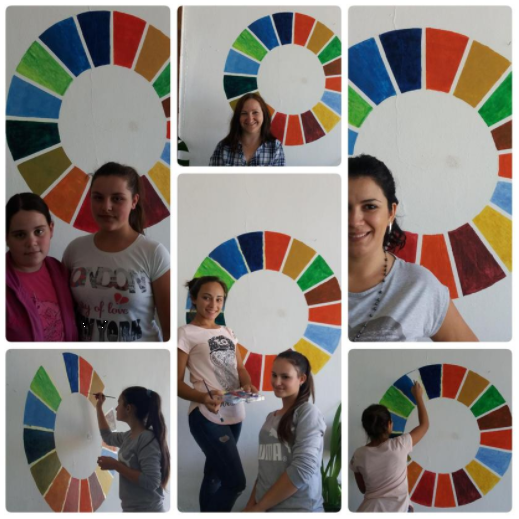 We have painted the SDGs Color Wheel at the wall in our school and starting an eTwinning project called "Sparks" in the #GlobalGoals week with more than 20 schools in over 12 European countries. Thanks to my fantastic students Miljana, Milica, Teodora and Marta and their Art teacher Marija! I have recorded a video on the Sir Ken Robinson Flipgrid about teaching SDGs for the #TeachSDGs ambassadors. I couldn't say everything I wanted in 90 seconds, so I've cut it few times and doesn't sound so good, but I said the most important thing - announcing our eTwinning project"Sparks". — Koen Timmers (@zelfstudie) 09. септембар 2017. 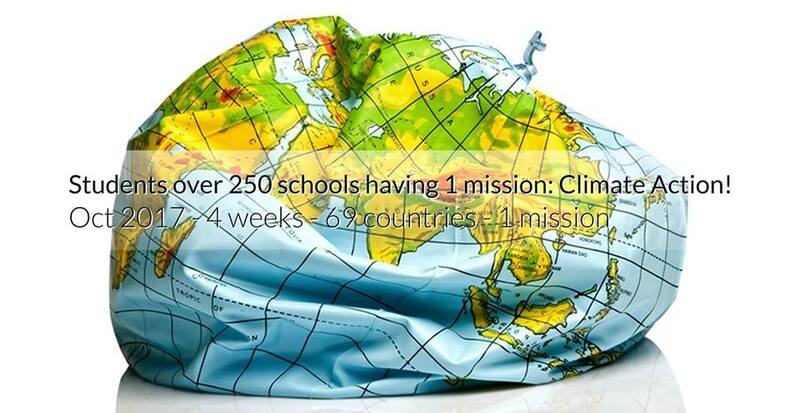 For this inspiring global project 250 schools over 64 countries will collaborate on climate change topics over the course of four exciting weeks! Students from across six different continents will conduct research, brainstorm and discuss ideas, present and share their findings about these topics via videos and online presentations. During the final week of the project, all participants will have an opportunity to Skype with each other to establish personal and meaningful connections with their global peers. Together, we hope to instil a greater understanding in our students of the importance of taking action against climate change. 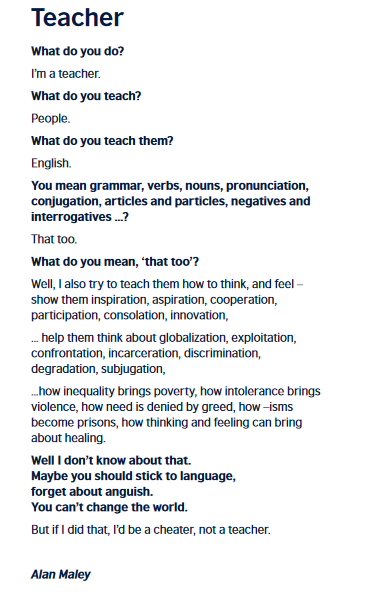 In order to be better global citizens, students need to tackle big questions. Real world problem-solving and innovation skills are vital for being an active participant in the 21st Century. 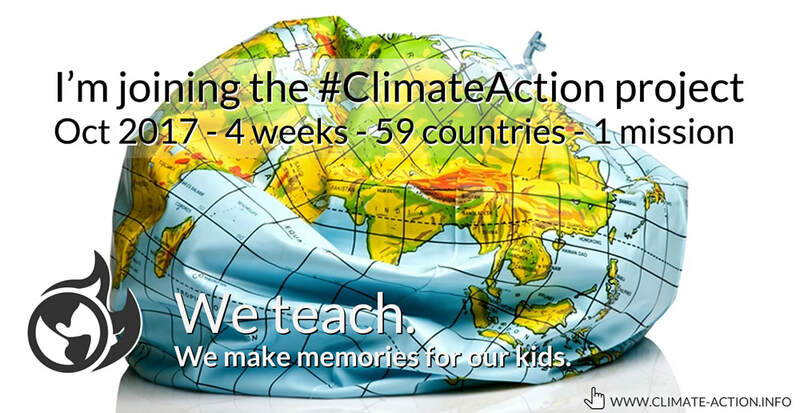 The goal of this student-centered global project is to provide an opportunity for students from 50+ countries in over six continents to construct their own knowledge about climate change and to create a growth mindset about overcoming and most of all taking action. Students will be encouraged to use their critical-thinking and reasoning skills to build deep knowledge. Let's bring empathy into our classrooms! "What’s better than learning about global issues directly from each other?" In August 2017 I was accepted to be the part of #TeachSDGs Ambassadors Task Force. The Global Goals Educator Task Force launched its #TeachSDGs mission in hopes that other educators would rally around a single vision: a world where this roadmap to a better humanity is introduced and explored in every classroom on Earth. 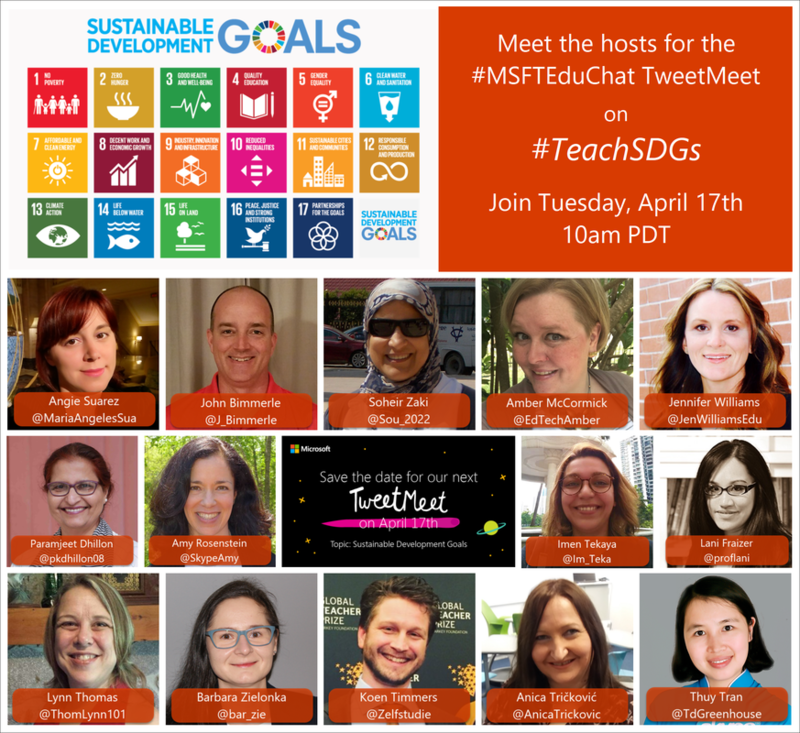 Our ambassadors are passionate global thinkers from many nations, co-leaders of the #TeachSDGs movement. Leading small or large scale projects in support of the mission. Leveraging private and public connections to spread the movement. Recruiting more teachers and school leaders to embrace the Global Goals. Managing social media accounts beyond Twitter. Informing and influencing political leaders. Conceiving and pitching fresh ideas and strategies to the board. About #TeachSDGs and ambassadors program, see HERE. I want to try and make some changes in my students ways of thinking and their lives. Math is all around us and that is the reason we need to learn how to solve the problems and not to be afraid of them. Sometimes, math is not enough. We need to know much more, and to have the whole picture about the world we leave in. We need to learn every day, and to use that knowledge not just to solve everyday problems, but to try to solve the problems of all humanity, so we could have a better future. We can only solve global challenges like poverty, inequality and climate change by working together. That is what the Sustainable Development Goals are all about – every one of us need to take a small step in making this world a better place. — Lifeliqe (@Lifeliqe) 04. новембар 2017. — Anica Tričković (@AnicaTrickovic) 03. новембар 2017. — Anica Tričković (@AnicaTrickovic) 16. септембар 2017.